← Make Your Own DIY All-Natural Vapor Chest Rub for Coughs! Even more amazing: My 9 year-old daughter loves them too! Kids are notoriously picky eaters, and we are super lucky to have been blessed with a child who actually likes mushrooms. Still – there’s so much going on in the sauce I wasn’t sure she would go for it. A few tweaks to play up the sweet without losing all of the punch, and I managed to find a balance we’re all happy with. Huzzah! 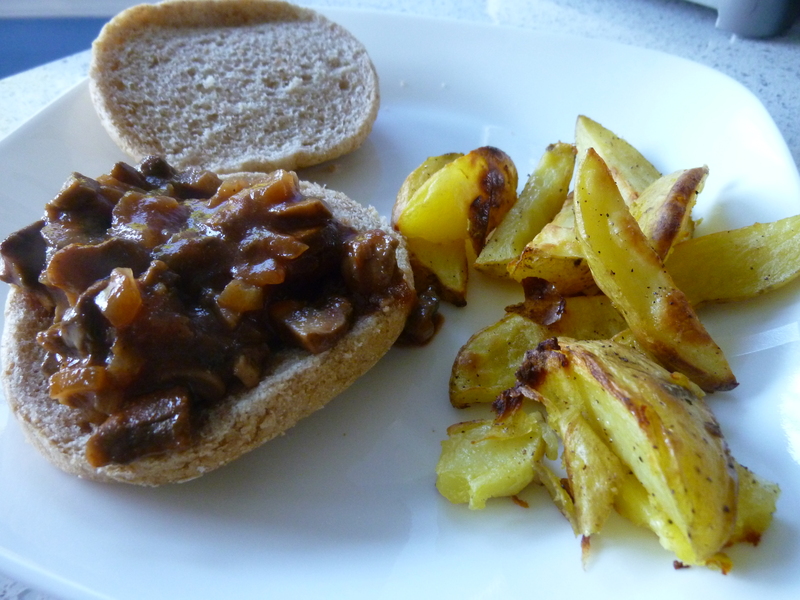 The original recipe calls for portobello mushrooms, but I’m a bigger fan of baby bellas – hence the “new” name. Baby bellas are the same as cremini mushrooms (sometimes also spelled crimini) and can usually be found in most markets. This recipe can also easily be made gluten-free by using tamari soy sauce and GF buns or even serving over rice or homemade baked fries (one of my favorites ways to eat it). Enjoy! This recipe is adapted from the original with several tweaks to fit our palettes and what is typically in our fridge and pantry. I’d encourage you to try this as well as the original version… and feel free to keep switching things up. There’s plenty of room for variation! In a wok or large skillet, heat the olive oil over medium heat and add the onion. Cook, covered, for 5 minutes. 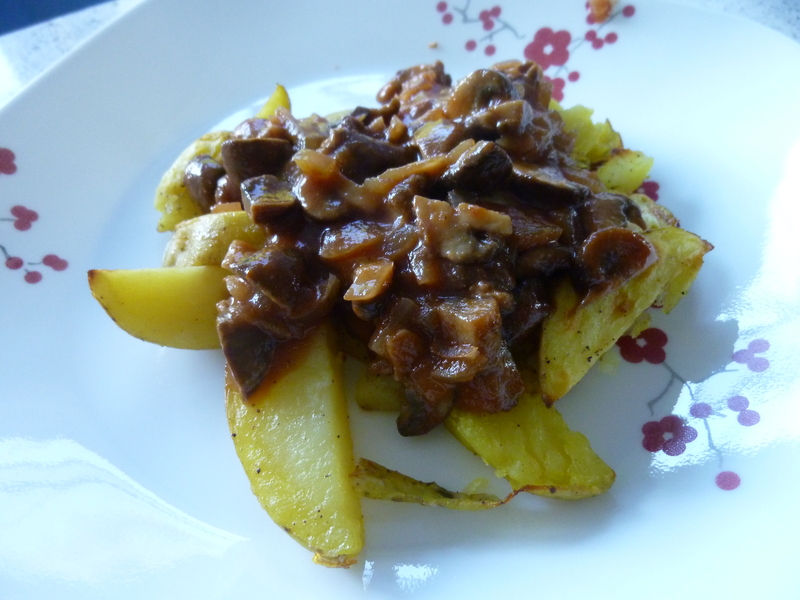 Add the garlic powder, mushrooms, and soy sauce and cook, stirring frequently, for another 4-5 minutes. Add the ketchup, mustard, and pepper and stir well. Turn the heat down to medium-low. Allow mixture to simmer, covered, for about 5 minutes to really blend all those yummy flavors together. Serve over items of your choice – be it bun, rice, fries or something else, and enjoy! 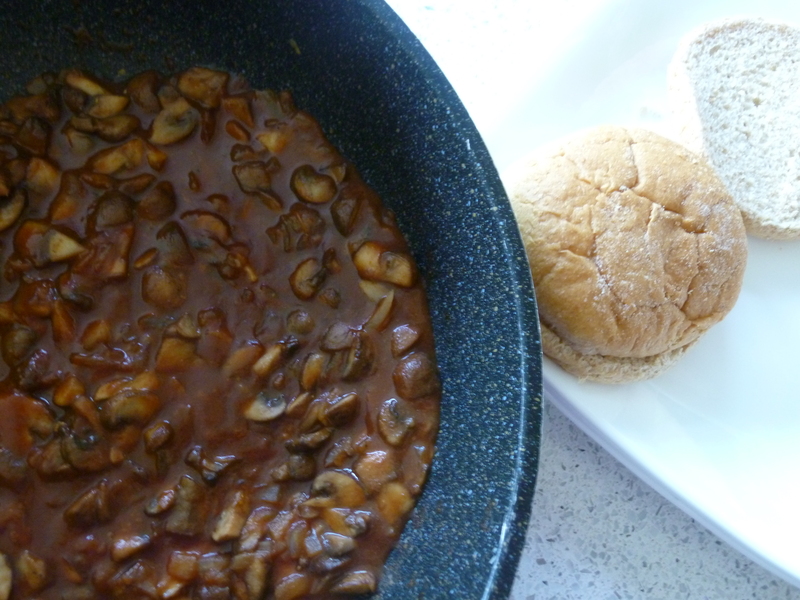 This entry was posted in Food + Garden and tagged baby bella, comfort food, cremini, crimini, GF, gluten-free, homemade, kid-friendly, mushrooms, portobello, quick-fix vegan, Recipe, Robin Robertson, sloppy joe, tarmari, vegan, vegetarian. Bookmark the permalink.